asMODus .Blank RDA. It's a 24mm diameter rebuildable dripping atomizer. Made of premium stainless steel, it's durable and easy to keep clean. It is able to bring you better flavor with minimal leaking. It adopts a a build deck design, which is similar to the Bunker and C4 RDAs. It's compatible with single coil builds. With large, wall-like posts located on each side of the atomizer, it could condense the vapor produced in the chamber. Adopting adjustable sextuple top airflow slot design, the rda brings you billowy clouds and intense flavor. 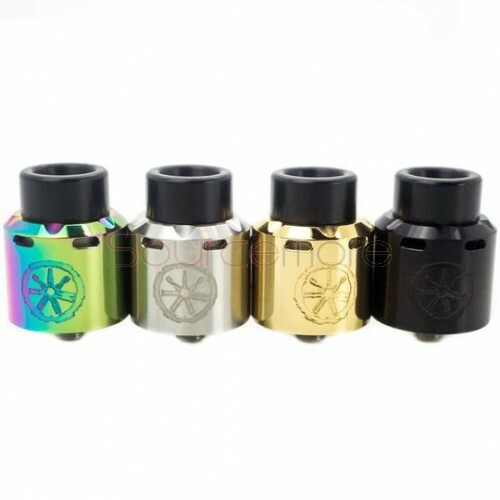 It comes with concave juice well floor,allowing for any juice fed into the RDA. The powerful device is sure to hit you, just get it to have an unprecedented enjoyment! Available in Stainless Steel, Gold, Black, Rainbow. All times are GMT+5. This page was generated at 05:48 PM.